"Sri Krsna cannot enjoy anything that is internally different from Him. Therefore Radha and Sri Krsna are identical. The sandhini portion of Sri Krsna's internal potency has manifested the all-attractive form of Sri Krsna, and the same internal potency, in the hladini feature, has presented Srimati Radharani, who is the all-attraction for the all-attractive. 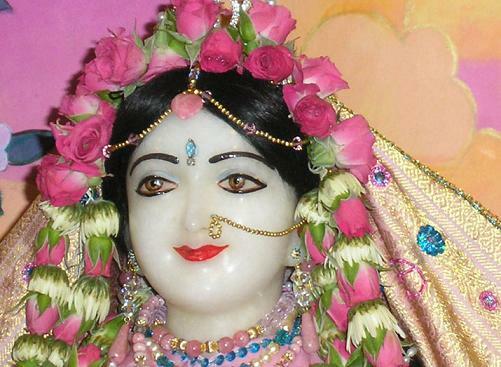 No one can match Srimati Radharani in the transcendental pastimes of Sri Krsna."